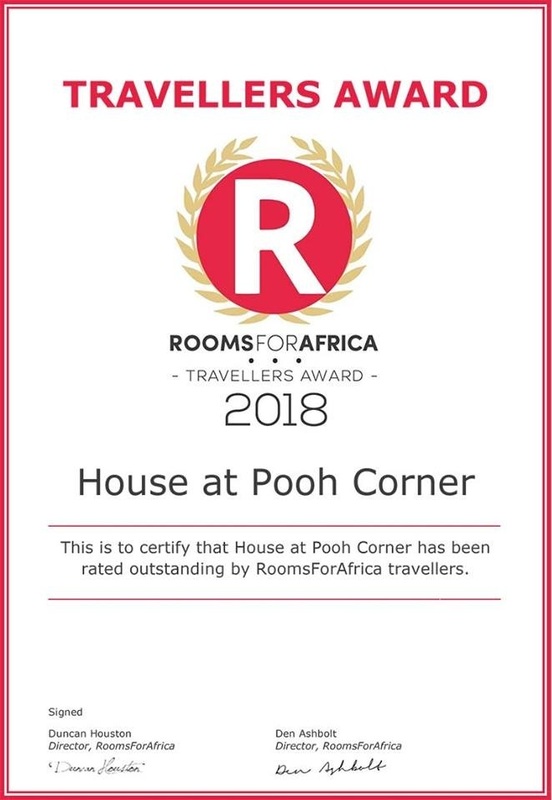 Whether you are escaping city life for a weekend, holidaying with your family or on honeymoon, Pooh Corner Hospitality with touches of fresh flowers, home baked goodies and a fireside glass of port, will have you coming back again and again to this magical spot. Owls House is a self catering cottage that sleeps 4 with a spacious bedroom with king (or twin) beds. Two little fold down beds are perfect for young children, sharing the bedroom. The large open plan lounge with satellite TV and fireplace, also has a comfortable single bed that doubles up for a couch in the day. Owl's House has a dining area and fully kitted kitchen with an oven, stove, fridge/freezer and Microwave. French doors open to a view of Chapman's Peak framed by 100 year old oak trees. A sunny private deck overlooks the Silvermine mountain range. Green Season Rates (May – August)Please enquire about Green Season specials from May – September, or discounts for longer stays. A little lounge area with a dining nook, incorporates a tiny kitchenette, with two plate stove, sink, under-counter fridge, microwave, and cupboards stocked with crockery and cutlery. Perfect for business trips or those wanting both bed & breakfast and self-catering options. Roo’s Room has the option of a kingsize bed or twin beds. The en-suite bathroom has a shower only. Facilities include, a TV with DSTV channels, DVD and video recorder, a heater, fan, hairdryer, electric blankets, coffee & tea trolley and a few other homely surprises! Piglet Place is a charming Bed & Breakfast cottage with TV, that sleeps 2. King-size or twin beds. The spacious en-suite bedroom looks out onto beautiful forested gardens. The en-suite bathroom has a shower over the bath. A breakfast nook is stocked with crockery and cutlery for convenient light meals. The cottages are tastefully decorated and furnished with old wood Cape furniture. All suites are serviced daily (except Sundays) Quality bed linen and towels are provided. All suites are equipped with TV, DVD, kettle, microwave, toaster, fridge, fan, heater, iron, hot-blankets and beach towels. Facilities include; outdoor barbeques, secluded swimming pool, separate games and braai lapa, laundry & ironing services (on request). A highchair & cot are available. Baby sitting can be arranged. Plenty of wood is at your disposal. Airport transfers, car-hire and personalized tours can be arranged.